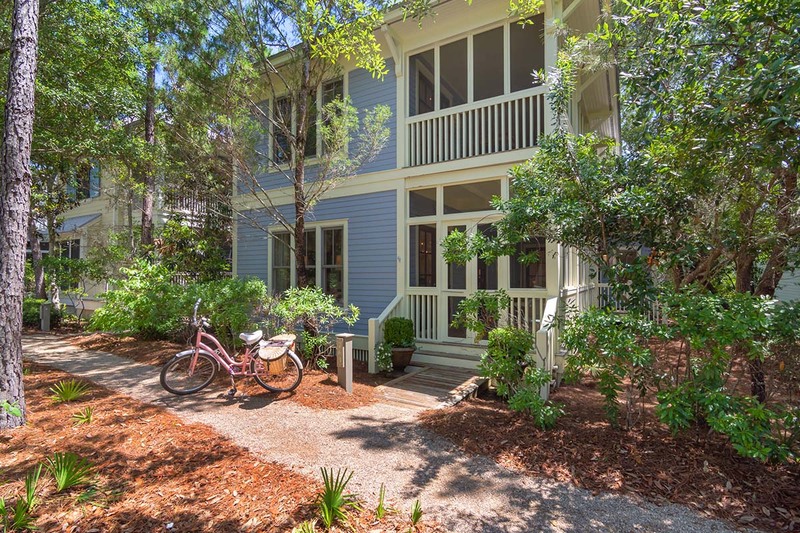 Experience the best of both worlds…located in Watercolor with Seaside in its backyard and adjacent to the Forest Street bike and walking access connecting the two neighborhoods. 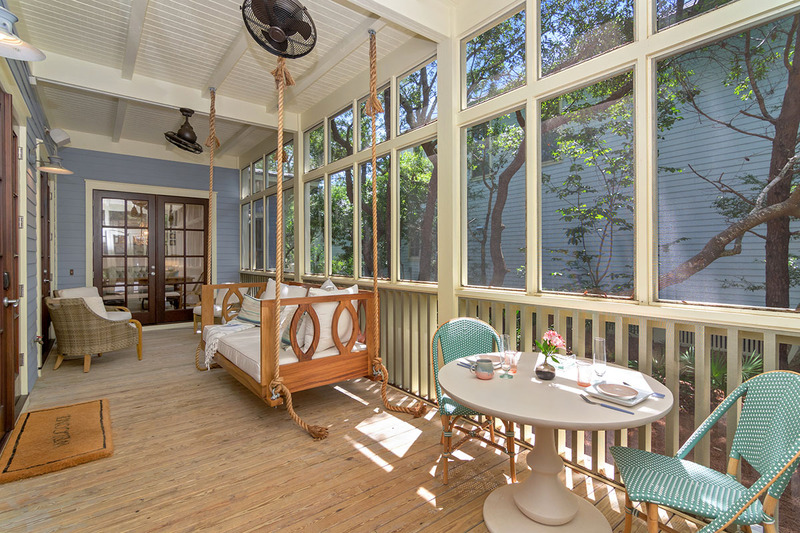 The welcoming screened front porch runs the length of the house downstairs and is the perfect place to gather with a delightful bed-swing, conversational seating and a table to enjoy your breakfast or morning coffee. 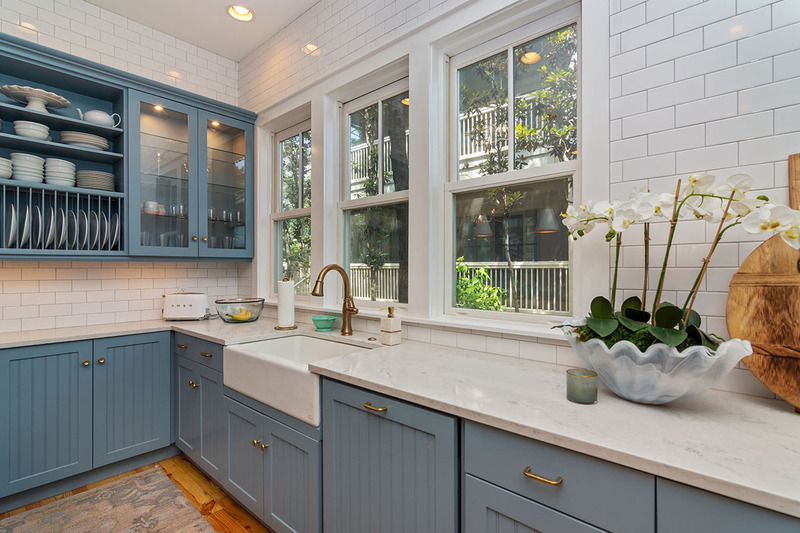 The coastal kitchen and dining room are accessible from the front porch. 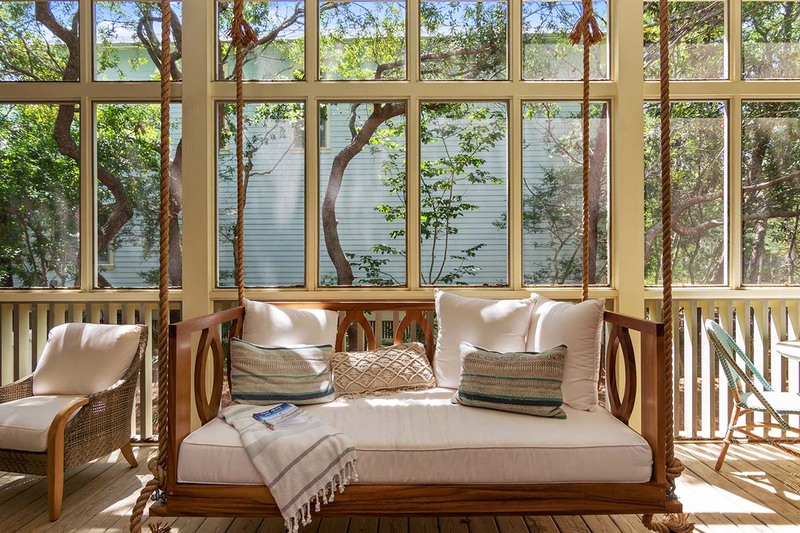 Enjoy a movie from the porch-swing or listen to relaxing music from the Sonos sound system. 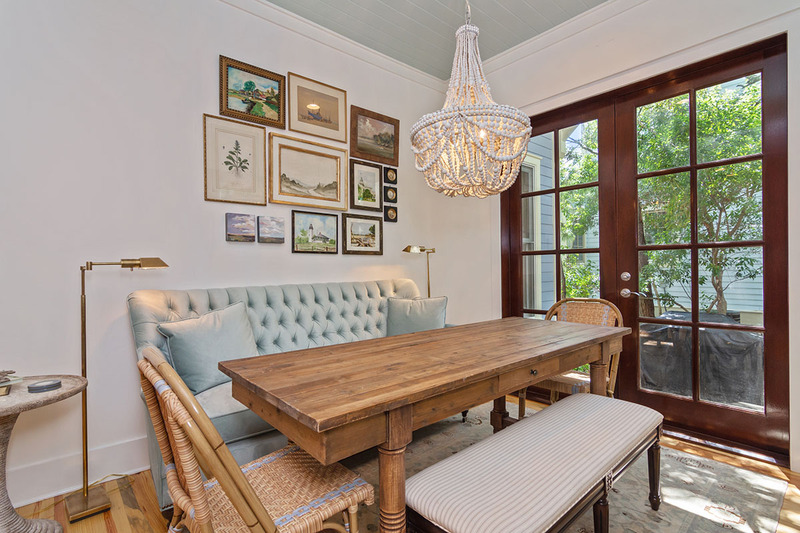 The chic dining room, located off the screened porch, features a “Friends”-style couch that is perfect for casual dining or gathering for refreshments and board games with your family. 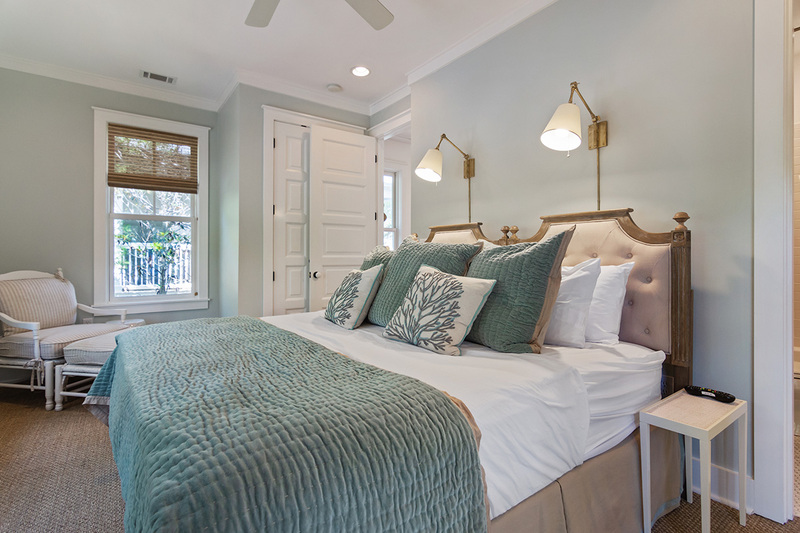 The king master bedroom is conveniently located on the first floor with private bath outfitted with double sinks, a Jacuzzi tub and separate shower. 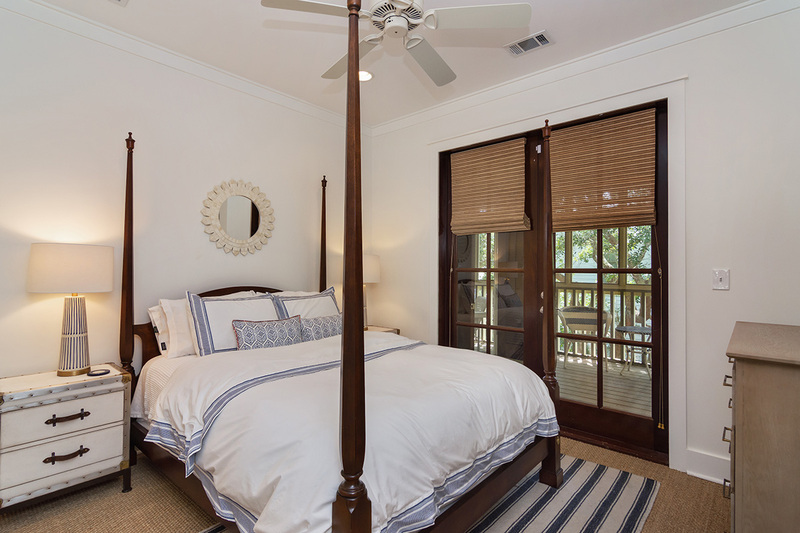 A second bedroom is also located on the first floor with two twin beds. 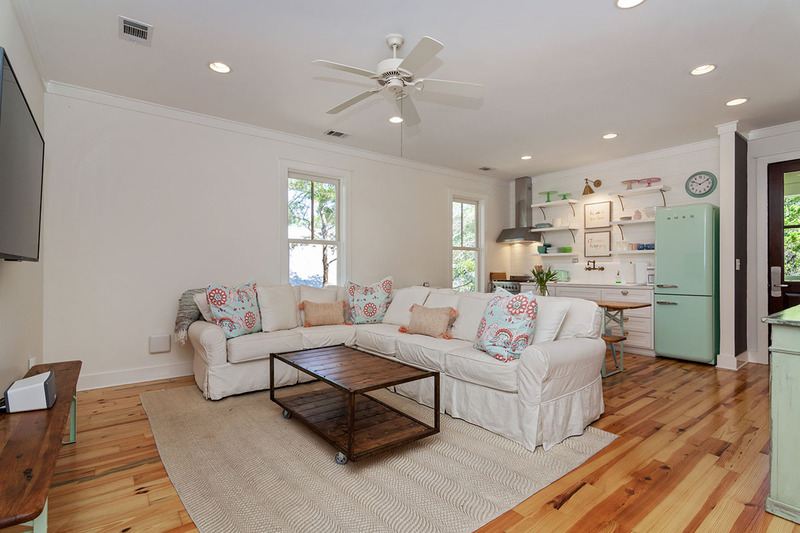 This room doubles as a sitting room as the beds are arranged as a sectional sofa. 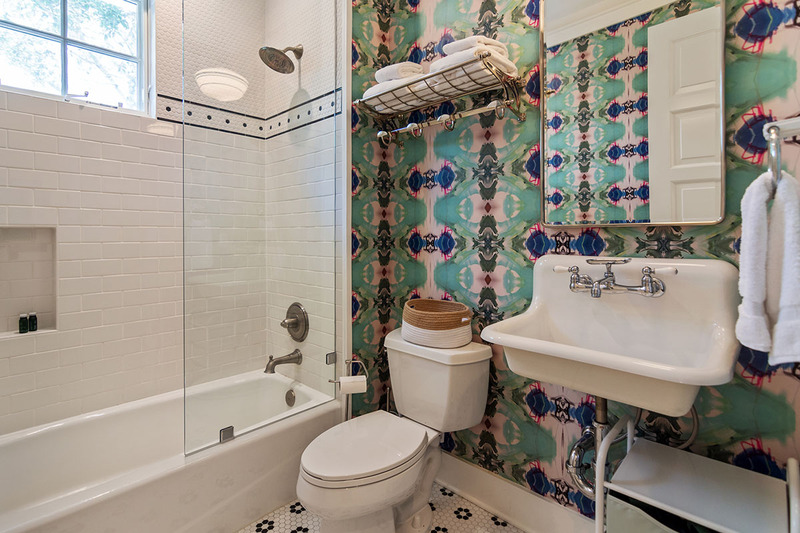 There is also a hall bathroom (shower only). 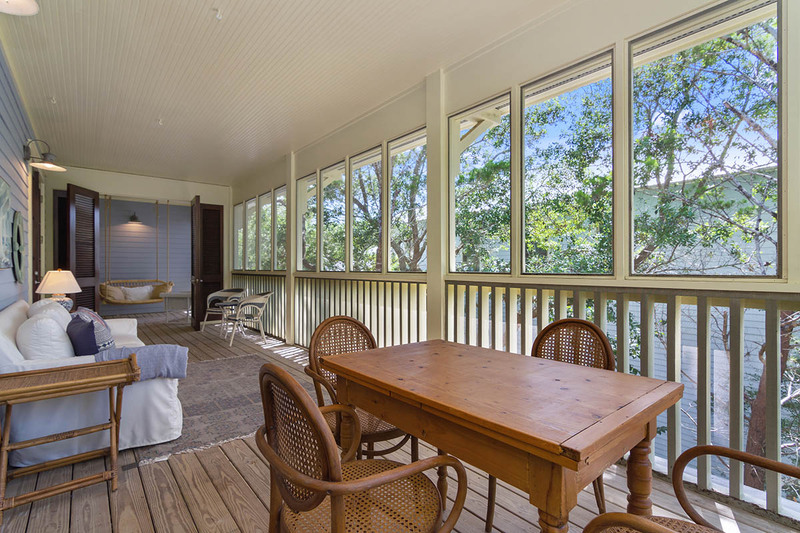 The second floor also features a screened porch living area that mirrors the downstairs porch going the distance of the house. 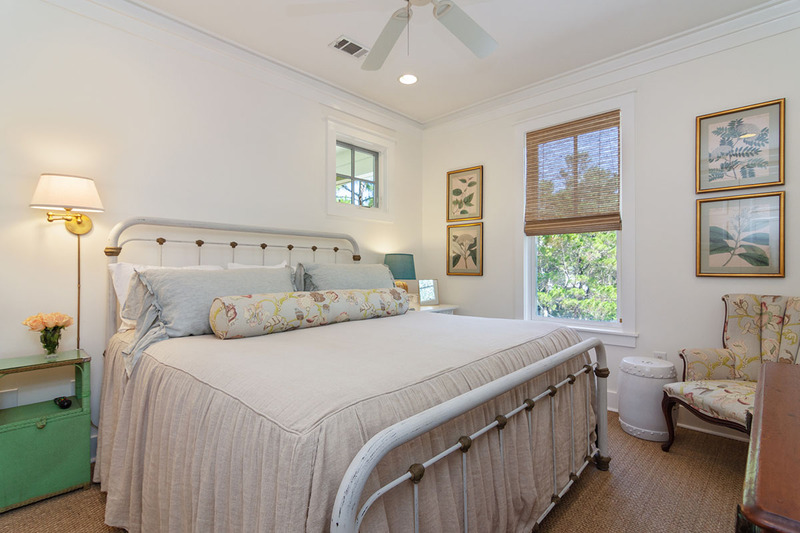 The third bedroom has a king bed and is ensuite with both a bathtub and shower. 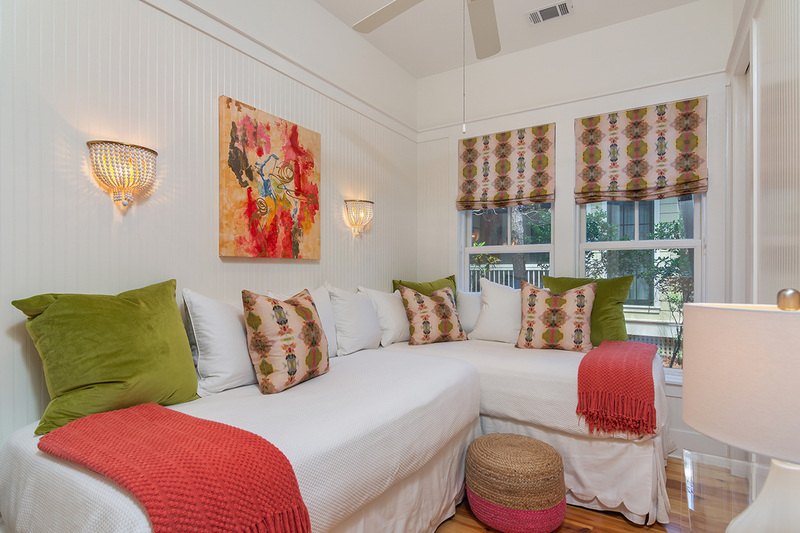 The fourth bedroom suite features a queen-size four-poster bed and a private bath full of whimsy and charm. 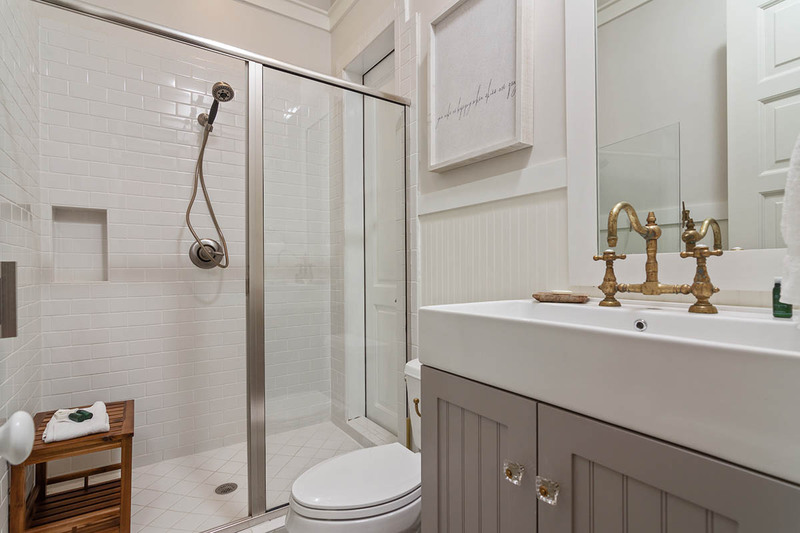 The carriage house features a private back entrance, away from the main house. 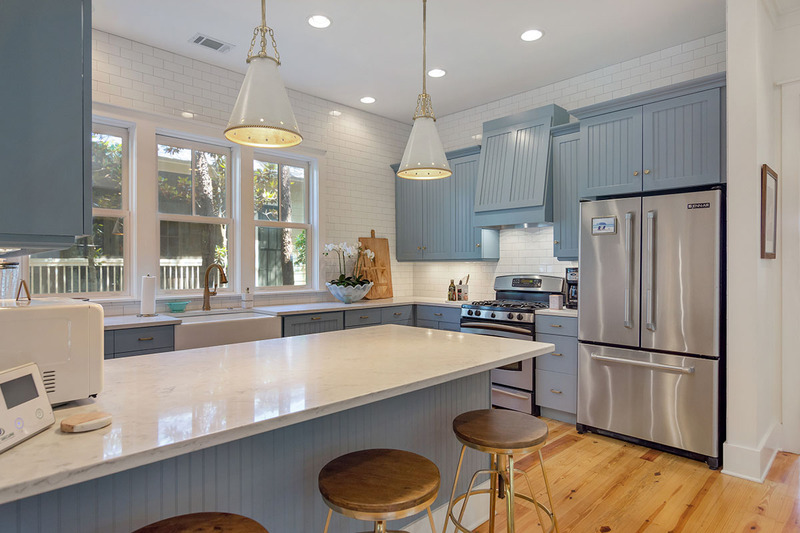 The kitchen features a vintage-style aqua refrigerator, vintage farmhouse sink, gas stove edged by a shiplap wall with open shelving. 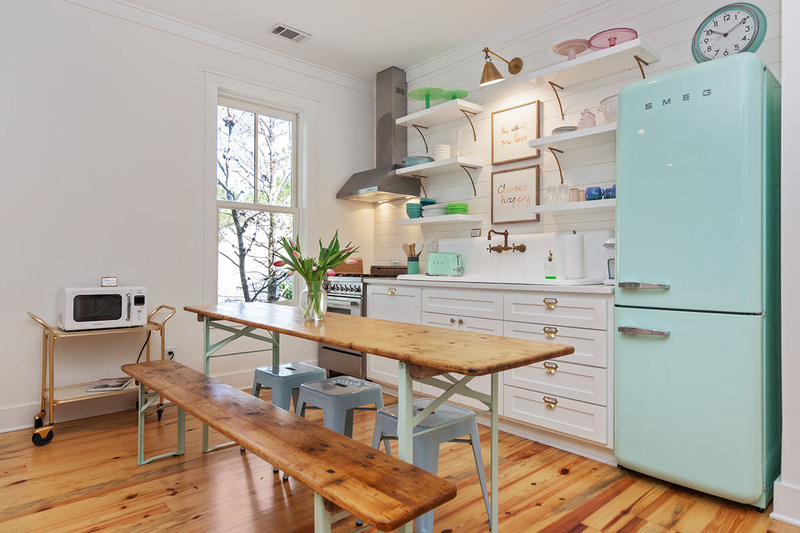 A narrow antique farmhouse table with bench and stools frame the kitchen. 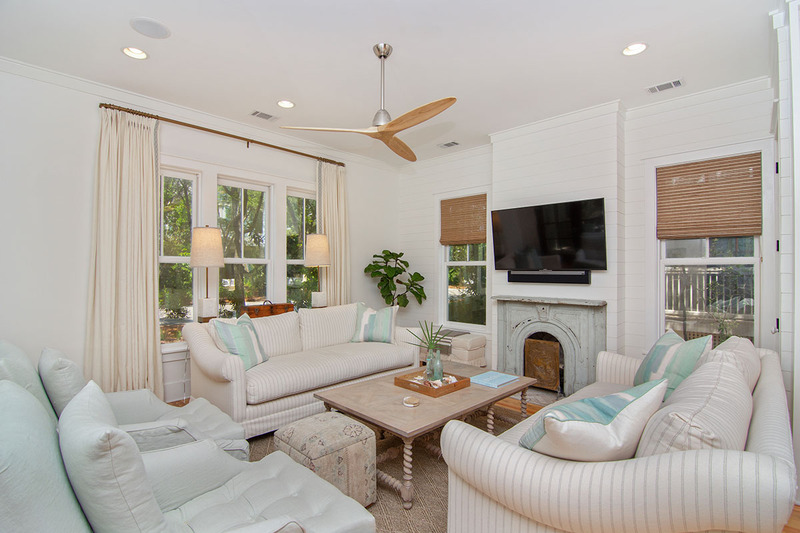 The open floor plan is perfectly-appointed with a cozy sectional sofa and coffee table to prop your feet up on to relax as you watch the big screen TV, enjoy the Sonos sound system or read a good book. The sofa folds out into a sleeper if extra sleeping space is needed. 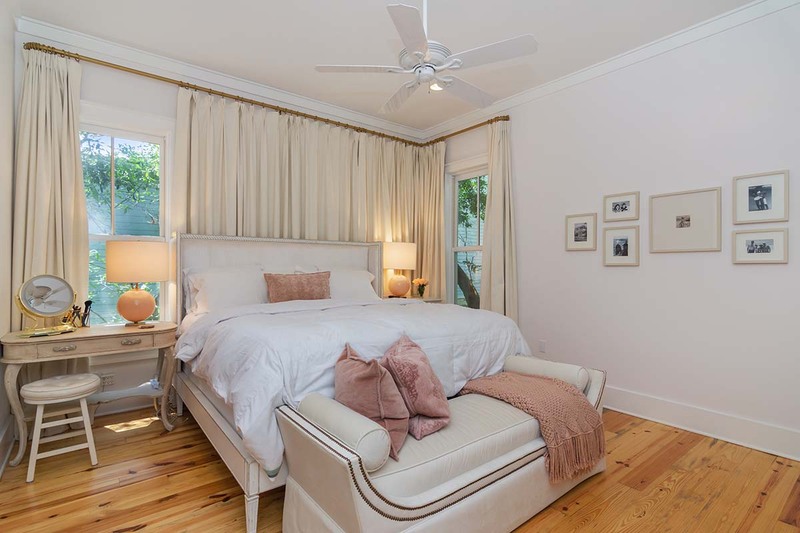 The separate master bedroom features a comfortable king-sized vintage-style bed. 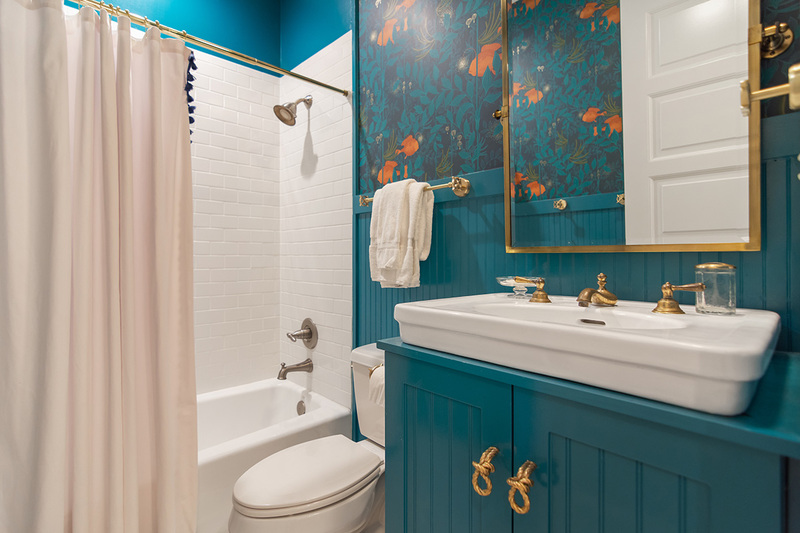 The private bath, tub and shower, continues the fun, vintage vibe with hand-painted wallpaper and vintage sink with medicine cabinet. There is an adjacent utility closet with a washer and dryer. Worth the Wait is sure to become your family’s preferred get-away spot…one that you will look forward to returning to again and again. 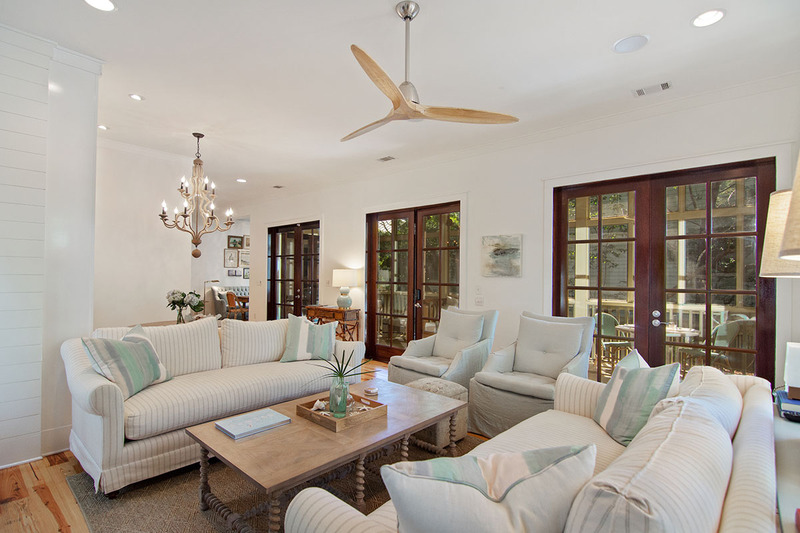 The home is a short walk to the Seaside Chapel and all of the wonderful Watercolor amenities. From summer to Labor Day, Watercolor provides several courtesy electric cart trolleys that will transport you to and from the beach or Watercolor Beach Club. 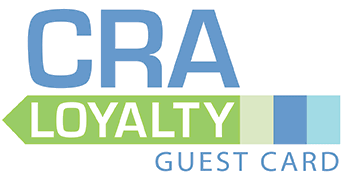 A very nice amenity provided with in-season rentals.